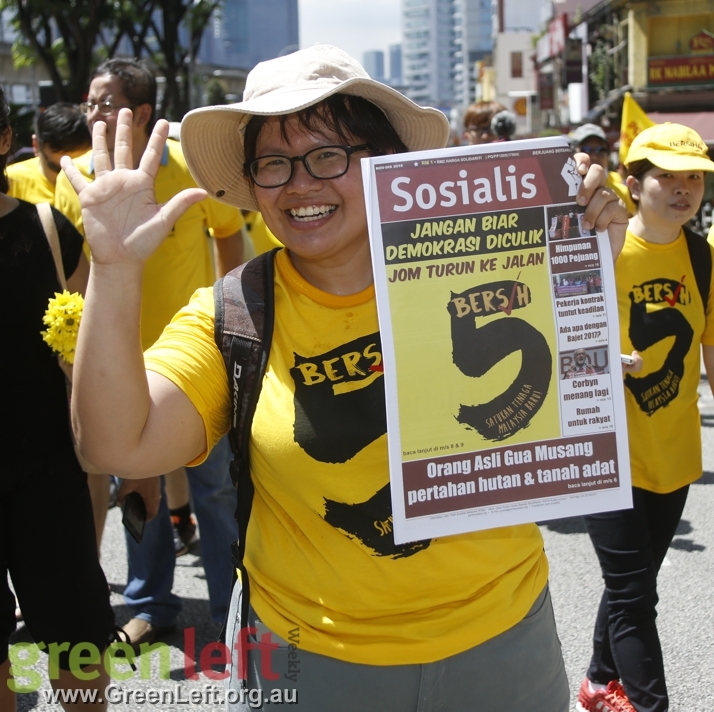 Bersih 5.0 rally for clean elections in Malaysia. Photos by Alex Bainbridge. 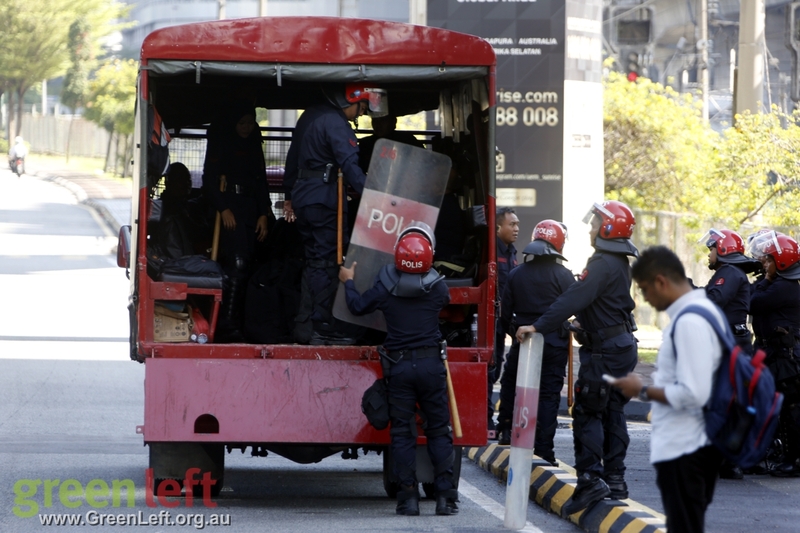 On the morning of the rally, it became clear that police were going to block the roads preventing the mobilisations at two different gathering points from converging in the centre of the city. This situation was never fully overcome. However, large numbers of people eventually made their way to the city centre by various means where a spirited rally took place. 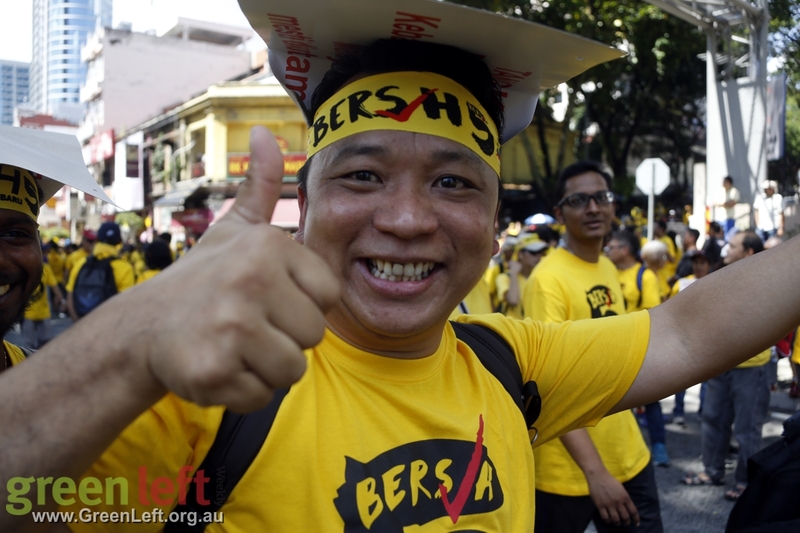 The numbers were down compared to previous Bersih mobilisations (with estimates ranging up to around 100,000 Bersih "yellow shirts" compared to half a million at Bersih 4.0). One reason for this would be the repression that took place (alongside the threats of violence). 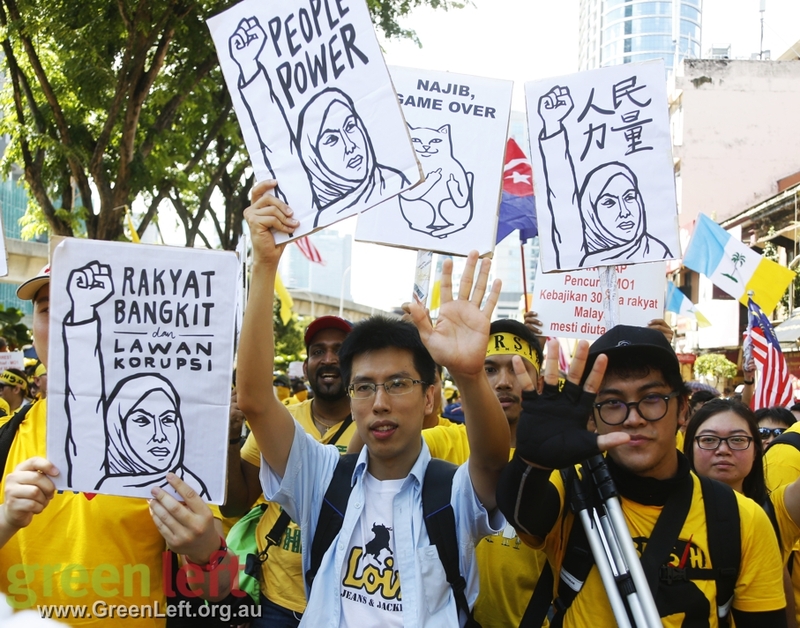 Another would be the fact that the opposition has split since the last Bersih mobilisation with the Islamic PAS party leaving the opposition bloc. However, despite this, it is still worth pointing out that the Bersih crowd was significantly larger than the 6000 Red Shirts estimated to have rallied on the same day. 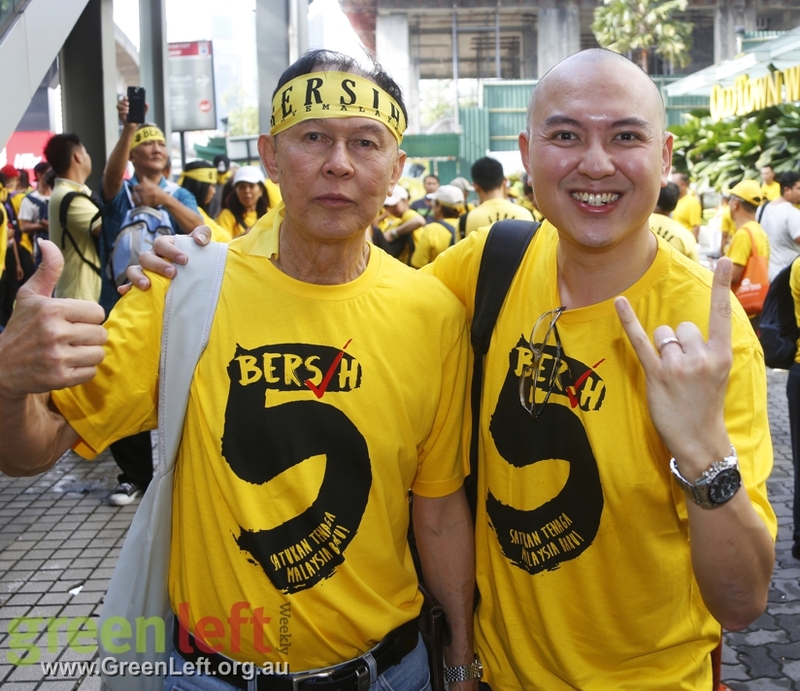 The other thing that was striking was the sheer numbers of people who were clearly supporting Bersih. There were huge parts of the city where people were proudly sporting yellow shirts. 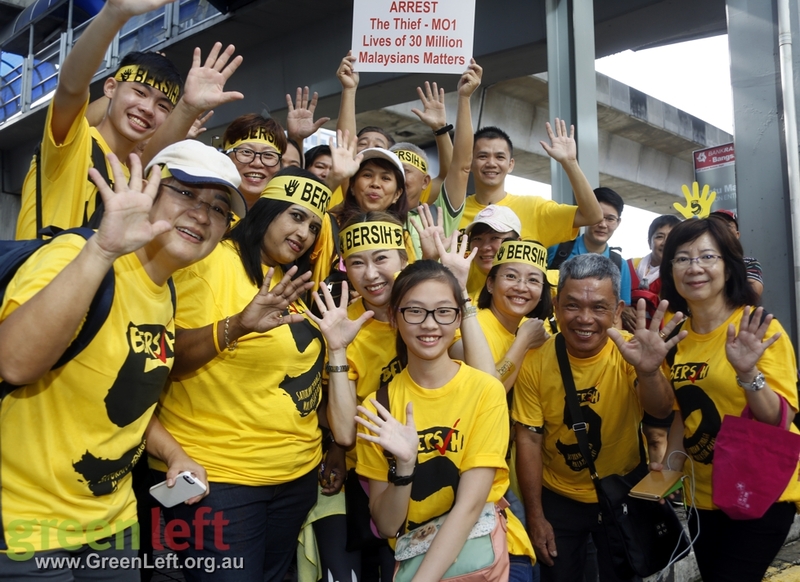 Every train station and eating place in the general vicinity of the main mobilisation was full of Bersih supporters. People were selling Bersih 5 t-shirts and other parephenalia (some officially connected to the Bersih movement and some not) at any thoroughfare they could find. How anybody could make an accurate determination of the numbers is beyond me. As far as I can tell, there was no point at which all the Bersih supporters were all gathered at the same place at the same time. The rally was scheduled to run for 8 hours and people would drop in and out to eat, to move to different locations in the crowd and no doubt to juggle other commitments. In this sense, it was much more like a mass movement than anything that can be readily compared to any recent development in Australia. Tens of thousands of people displayed their support for the movement, notably by wearing their yellow shirts and head bands and by joining in the general mobilisation, which despite the threat of violence had something the character of a festival. 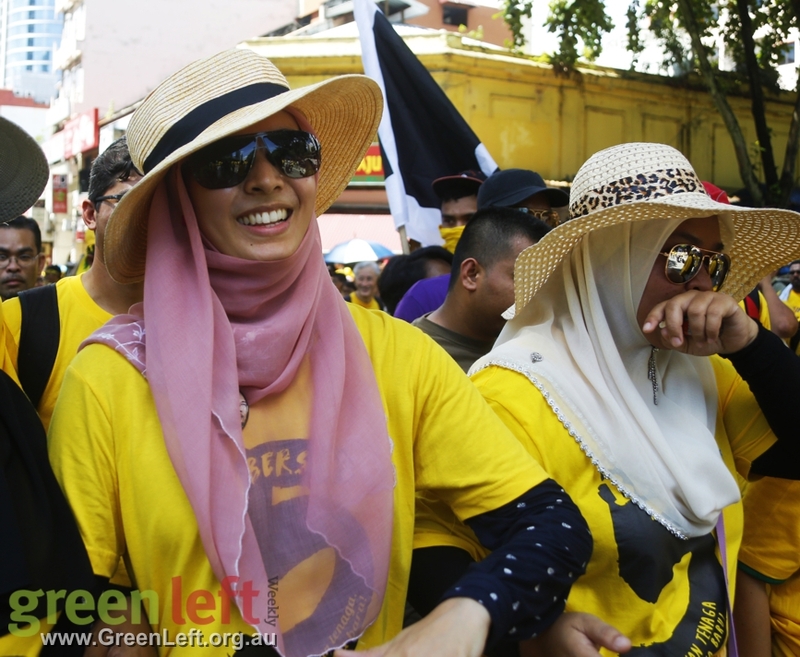 More photos from Bersih 5.0 in Kuala Lumpur here and here.